San Diego, CA (April 1, 2011) – At WonderCon today, IDW Publishing announced that Darwyn Cooke‘s first two adapted Parker books, THE HUNTER and THE OUTFIT, will be collected in a tremendous, oversized hardcover edition, with an additional 65 pages of Cooke content. Packaged in a beautiful slipcase, The Martini Edition debuts in July and features a brand new Parker short story by Darwyn Cooke. Adapted from Richard Stark‘s classic crime noir novel, Darwyn Cooke’s PARKER: THE HUNTER graphic novel debuted in July 2008 to instantaneous popular and critical acclaim. It made the New York Times best-seller list and won coveted Eisner and Harvey awards. The second graphic novel, THE OUTFIT, was released last year and was met with similar response, and is currently under consideration for nominations in this year’s awards season. Parker: The Martini Edition will be a very special collection in that it will also feature an expansive section of sketches and preliminaries by the artist, with commentary accompanying. Also included is a brand-new 8-page Parker story by Darwyn Cooke, unique to this volume. The Hunter and The Outfit tell the story of Parker, Richard Stark‘s classic anti-hero, as he returns to New York to settle the score with his wife and partner in crime after they betray him in a heist gone terribly wrong. After evening the field and reclaiming his prize, the Outfit decide to do some score settling of their own… and learn much too late that when you push a man like Parker, it had better be all the way to the grave. 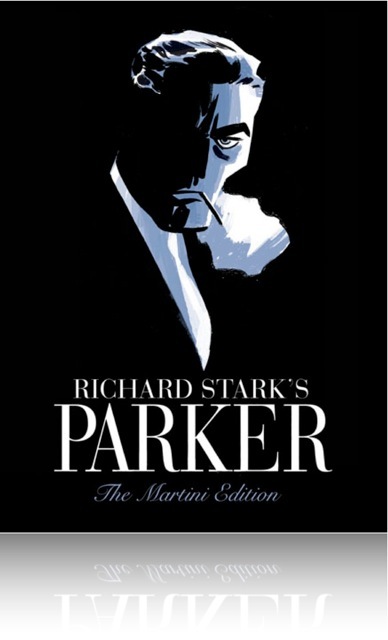 PARKER: THE MARTINI EDITION ($75.00, partial color, 344 pages, 9”x13”) will be available comic and book stores in July 2011. ISB 978-1-60010-980-5.